If you are having difficulty finding someone to help you get clear skin, Clear Solutions Acne & Skin Care Clinic offers a Long Distance Program for Acne Treatment. You will get personalized coaching as if you were coming into the clinic without the in-office visits via internet. Fill out and submit the online Long Distance Questionnaire and upload photos of your skin below. Once we receive your questionnaire and photos we will contact you to process your serum test kit, which will include 4 serum samples for you to test for sensitivity and paperwork containing information in regard to Acne. The serum Test/Consultation Package is $100 which covers the cost of your Serum Test Kit and initial consultation and continued support with us by email over the next 3 to 4 months or longer if need be. If needed or requested FaceTime and/or Skype sessions will be $30 for a 15 minute session. Once you provide us payment information your serum kit will then be mailed to you with instructions on how to use it and you would then report back the results (per instructions) via email. After we get your serum results, review your questionnaire and photos we will then design your personal home care program. We will send you an email of the recommended products with cost and upon your approval and payment we will ship your initial products with instructions on how to use them. Your initial products will cost approx. $150 give or take (plus shipping and sales tax). It is a requirement that you use our products and ONLY our products while on the program. We can not continue ongoing consultations unless you are using our products. Once you receive your products we need to hear from you every 2 weeks. It is your RESPONSIBILITY to submit the 2 Week Follow-Up Form and your photos every 2 weeks. Any questions you may have in regard to your products, skin condition and or routine please email us. 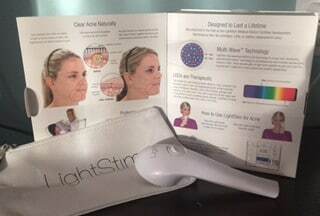 It is highly recommended to purchase a Blue LED hand held device to be used along with products for Long Distance clients for optimum results being you will not be coming in for treatments.